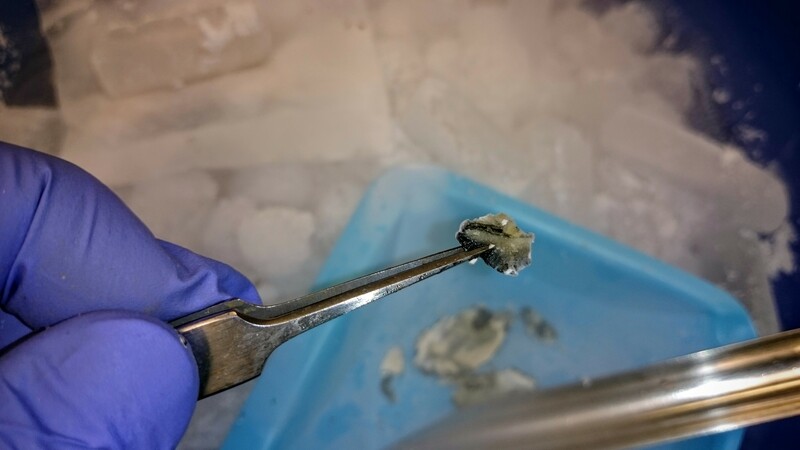 We’re working on a project with Washington Department of Natural Resources’ (DNR) Micah Horwith to identify potential proteomic biomarkers in geoduck (Panopea generosa) and Pacific oyster (Crassostrea gigas). 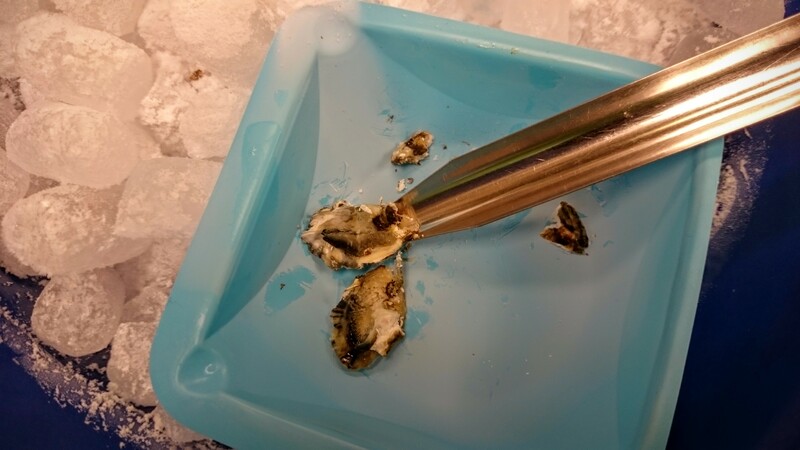 One aspect of the project is how to best conduct sampling of juvenile geoduck (Panopea generosa) and Pacific oyster (Crassostrea gigas) to minimize changes in the proteome of ctenidia tissue during sampling. 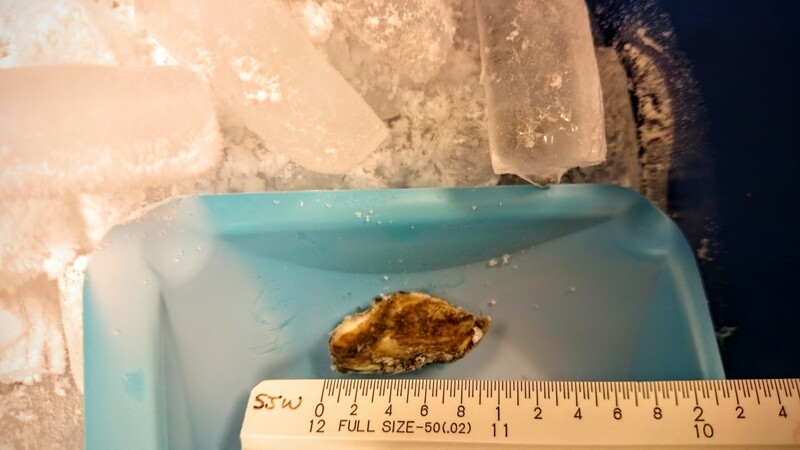 Generally, live animals are shucked, tissue dissected, and then the tissue is “snap” frozen. However, Micah’s crew will be collecting animals from wild sites around Puget Sound and, because of the remote locations and the means of collection, will have limited tools and time to perform this type of sampling. Time is a significant component that will have great impact on proteomic status in each individual. As such, Micah and crew wanted to try out a different means of sampling that would help preserve the state of the proteome at the time of collection. Micah and crew have collected some juveniles of both species and “snap” frozen them in the field in a dry ice/ethanol bath in hopes of being able to best preserve the ctenidia proteome status. 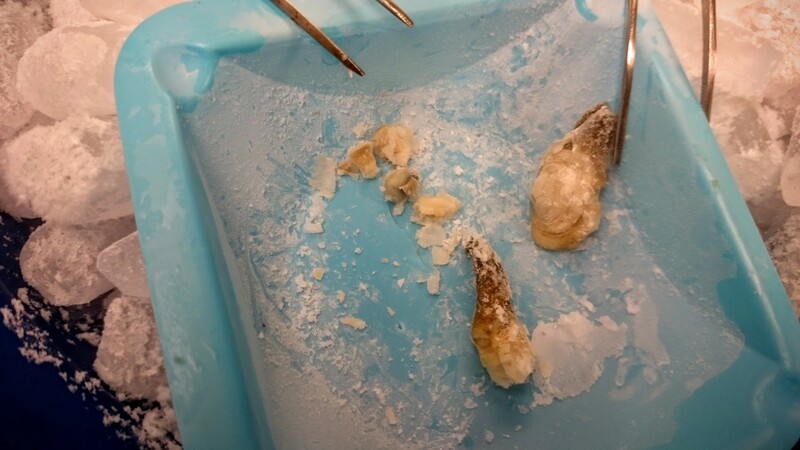 I’m attempting to dissect out the frozen ctenidia tissue from both types of animals and am reporting on the success/failure of this method of preservation-sampling protocol. 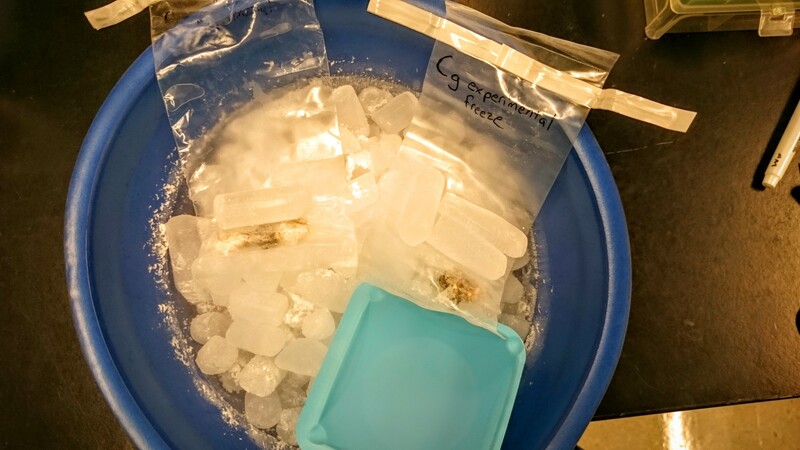 To test this, I transferred animals (contained in baggies) from the -80C to dry ice. Utensils and weigh boats were cooled on dry ice. Quick summary: This method won’t and I think sampling will have to take place in the field. The details of why this won’t work (along with images of the process) are below. 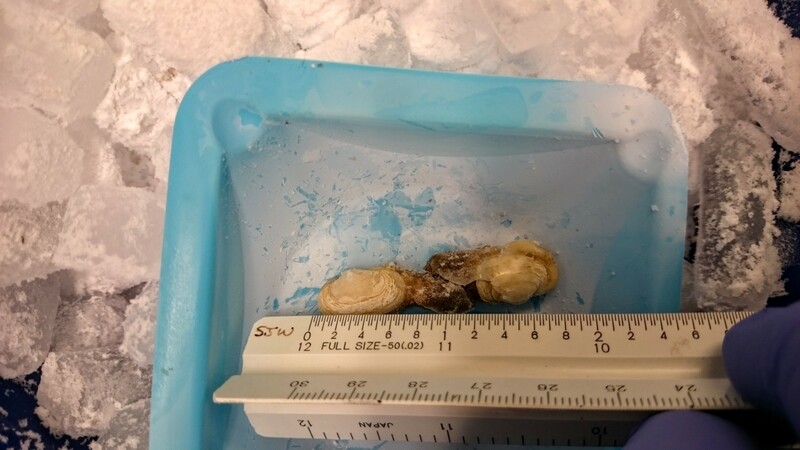 This entry was posted in Miscellaneous and tagged Crassostrea gigas, dissection, DNR, geoduck, Pacific oyster, Panopea generosa on 14 July, 2016 by kubu4.